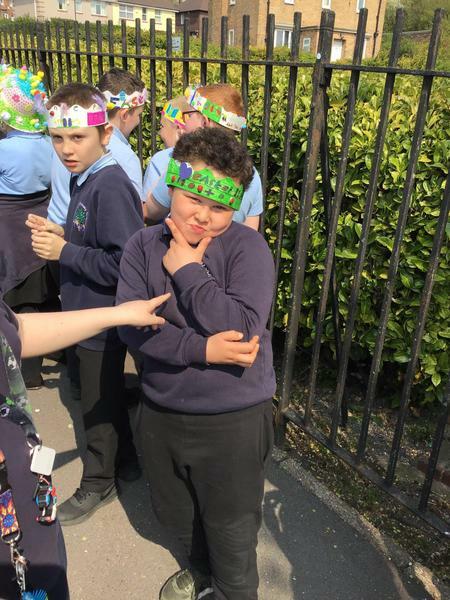 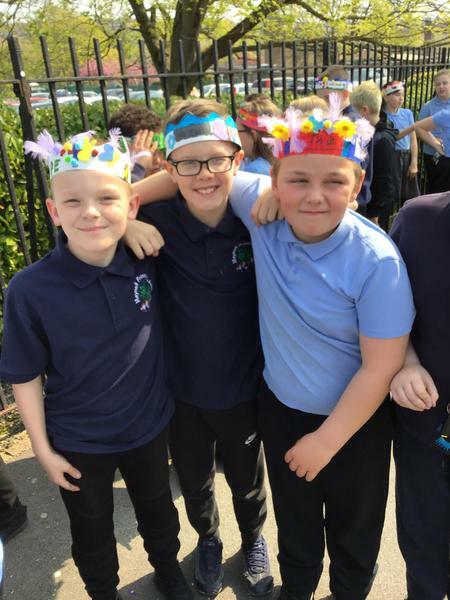 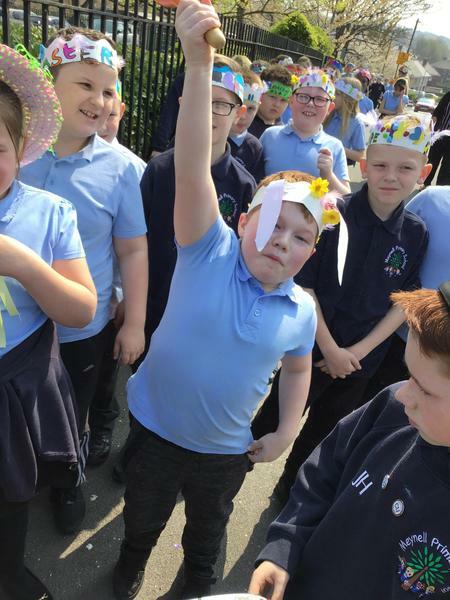 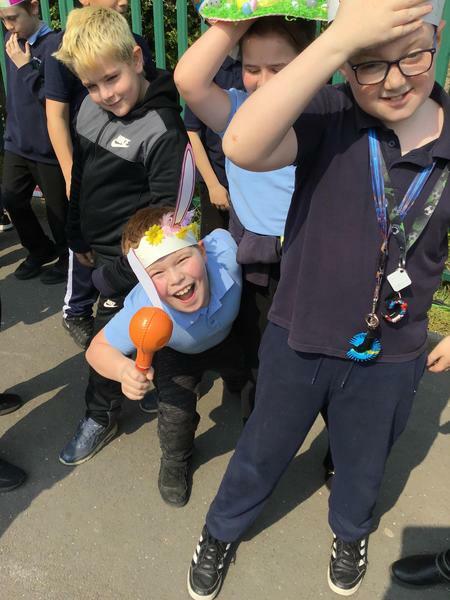 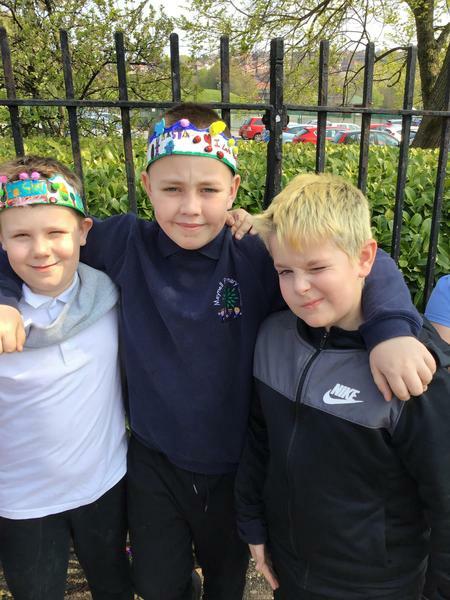 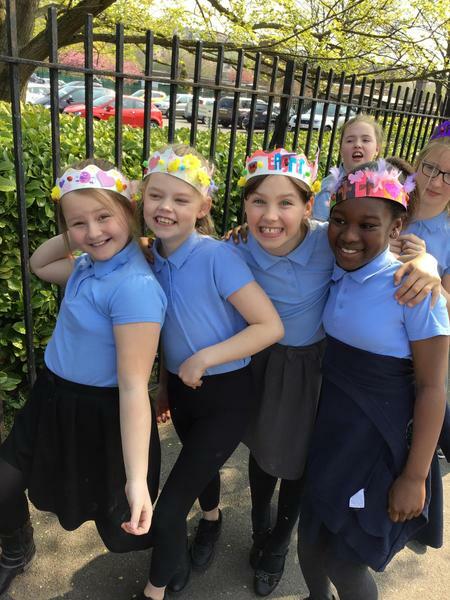 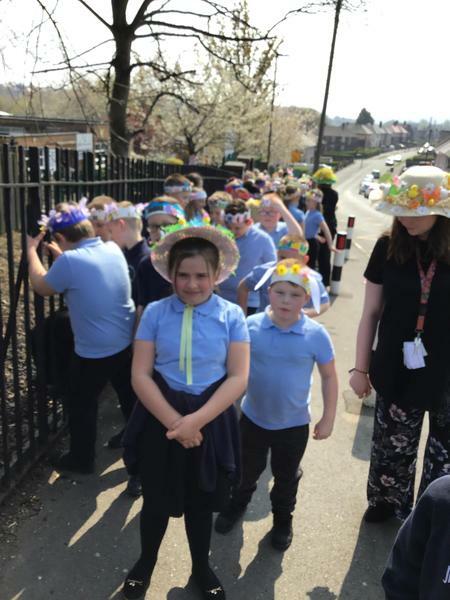 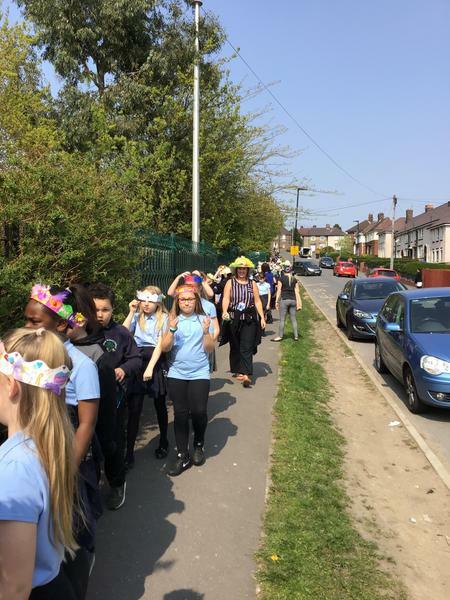 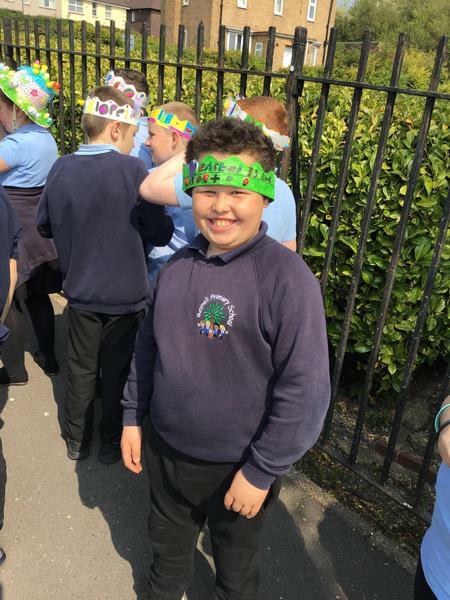 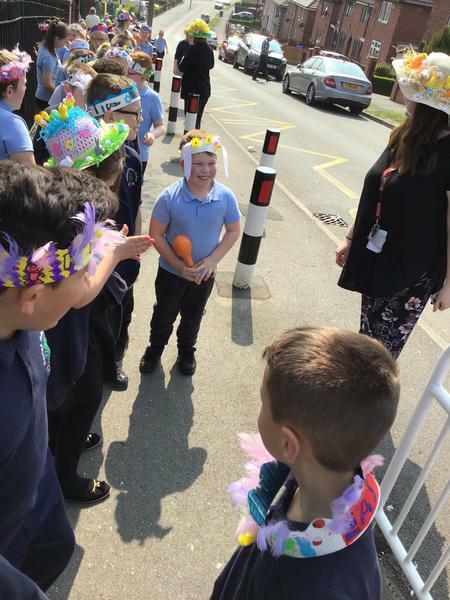 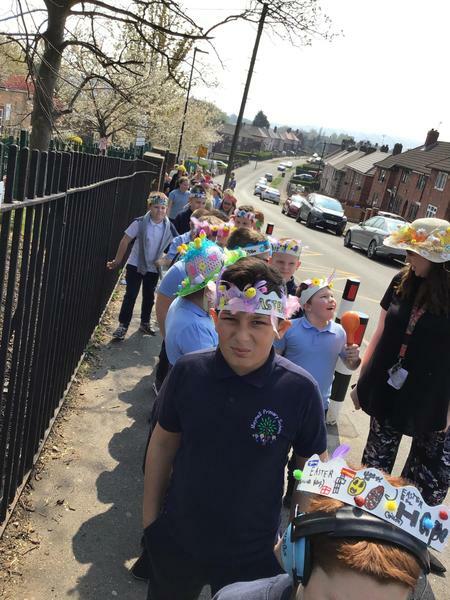 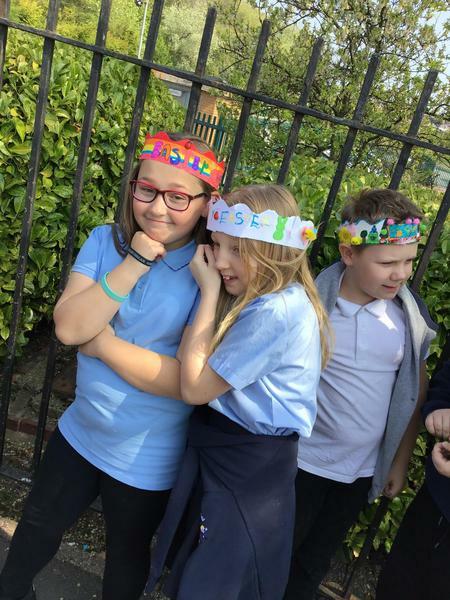 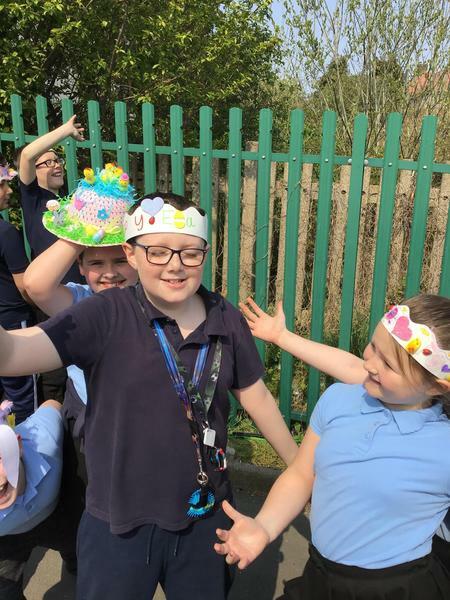 Y5 had a great time on our Easter Parade! 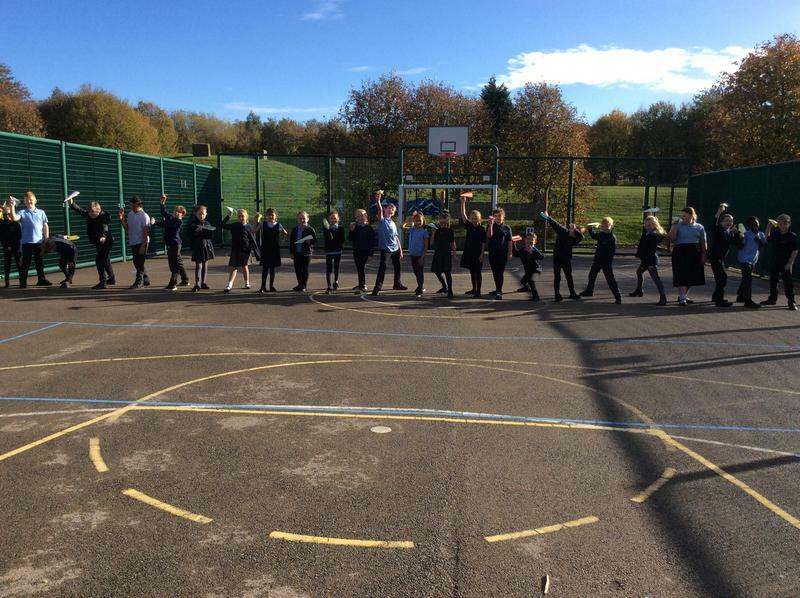 We started our angles topic by going outside and really getting to understand the concepts behind angles. 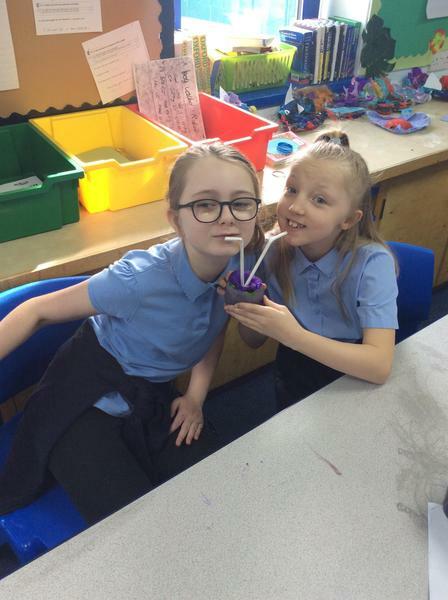 As part of our science week investigation into the journey of plastic we designed, created and tested our own alternatives to plastic cups. 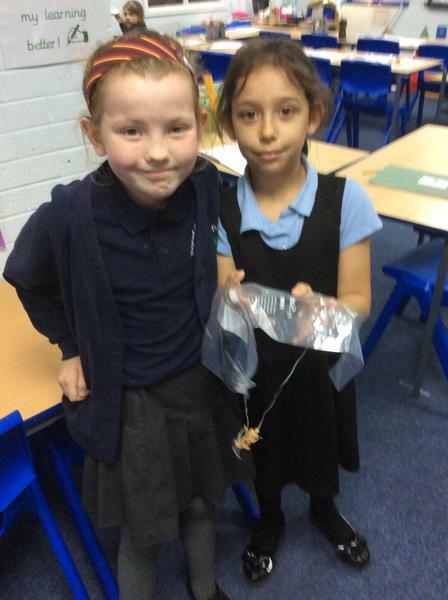 It was very interesting starting science week by making plastic bottle fish! 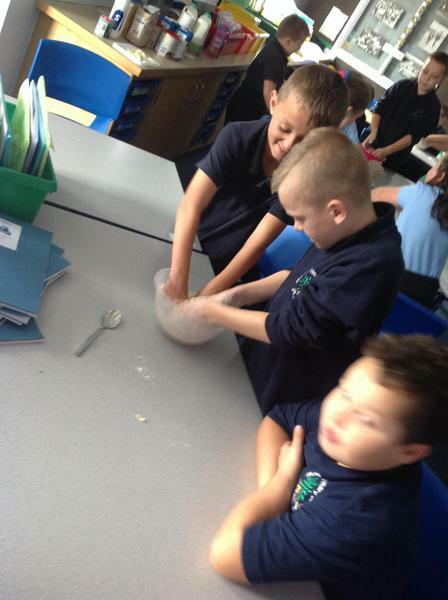 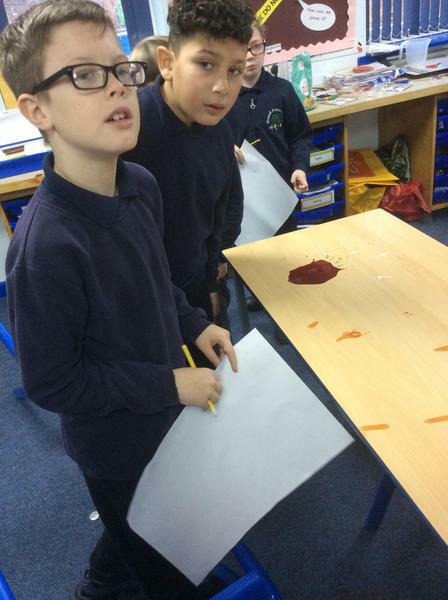 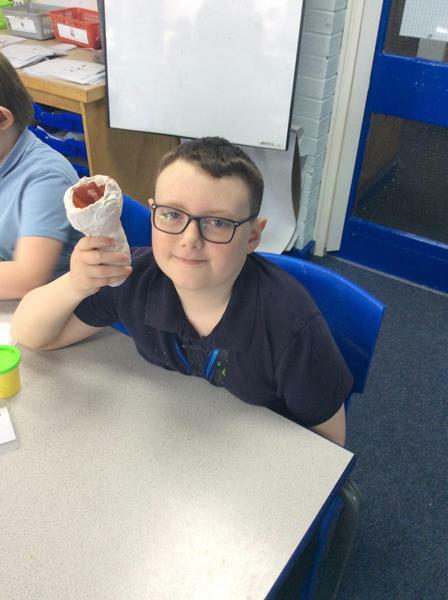 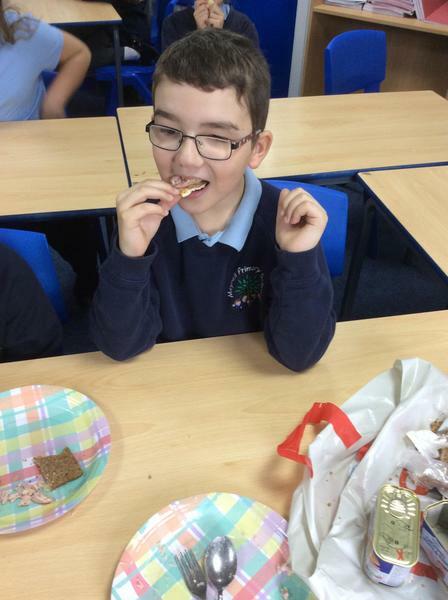 It was great looking into Harry Potter on World Book Day - especially making edible hats! 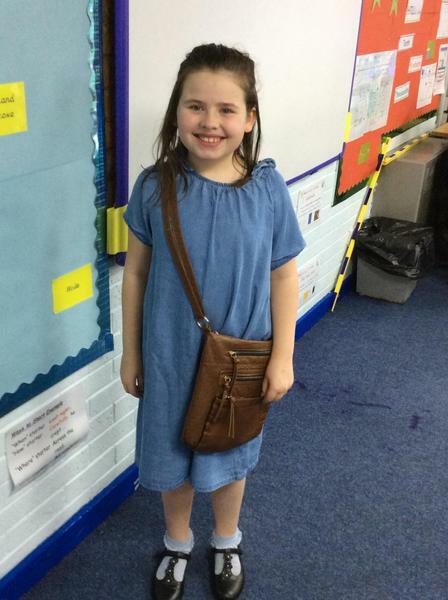 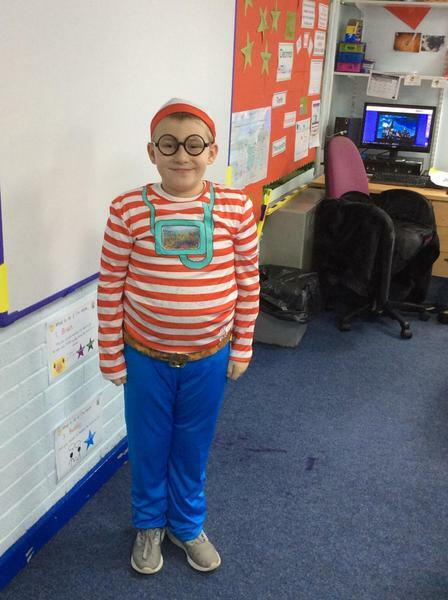 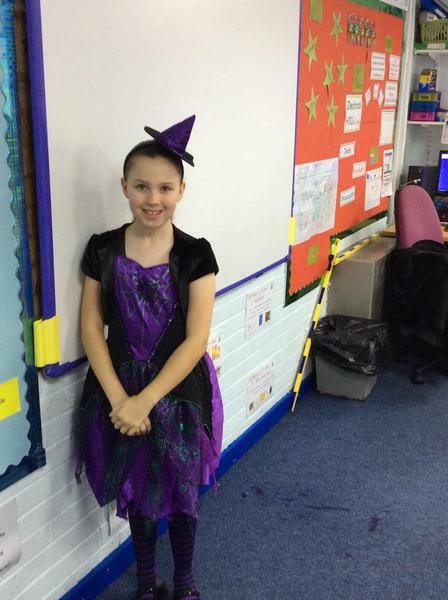 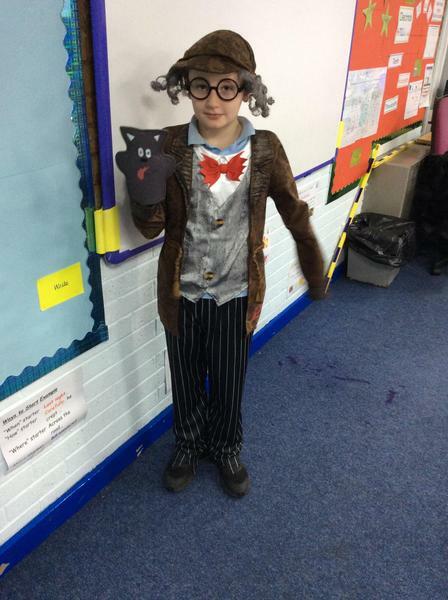 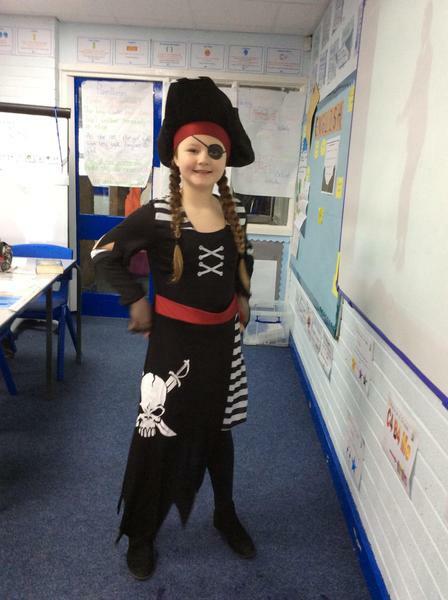 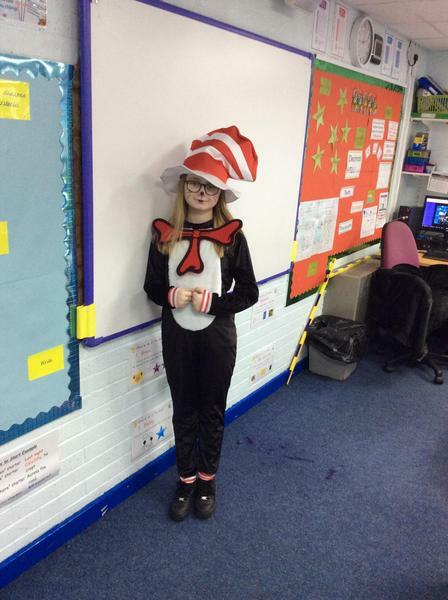 We had a great time celebrating World Book Day in Y5! 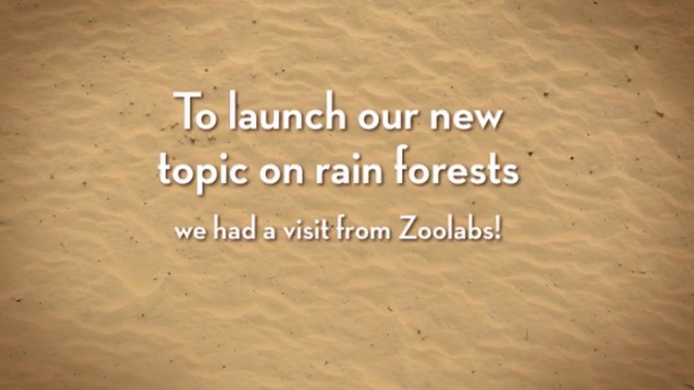 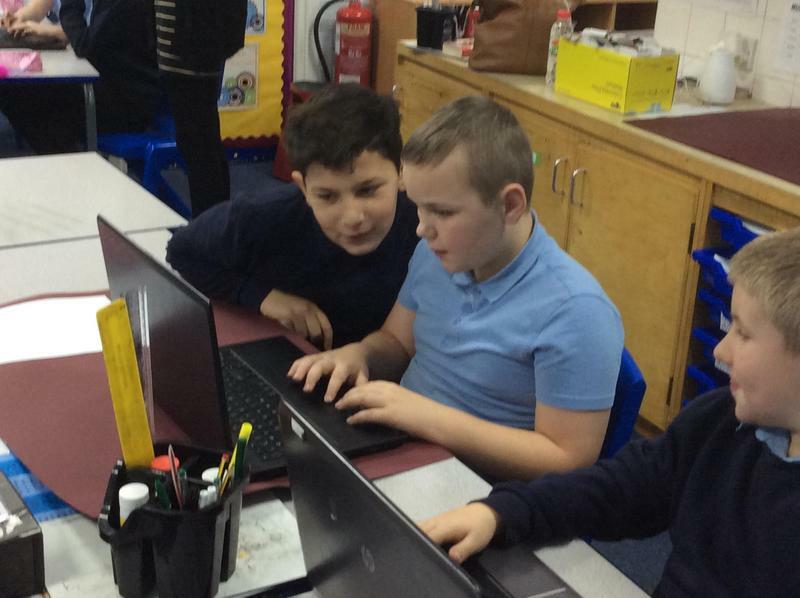 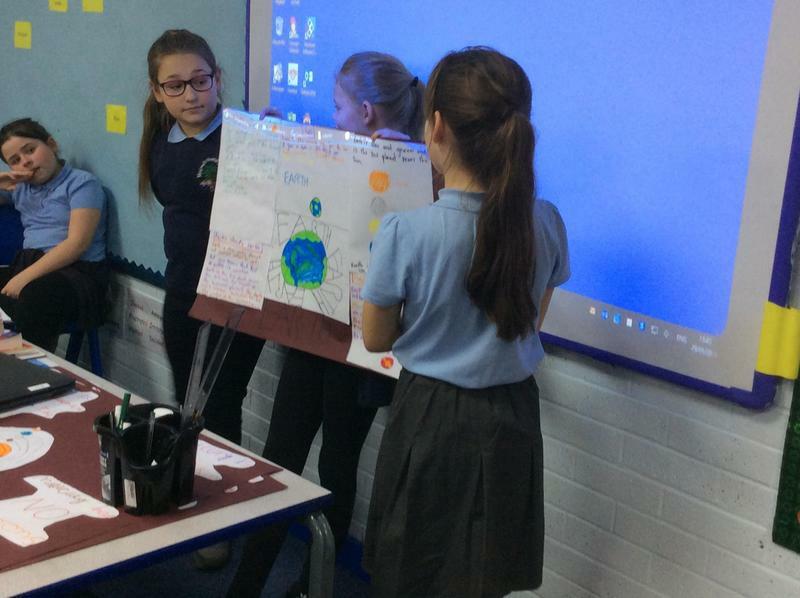 We enjoyed teaching each other about deforestation. 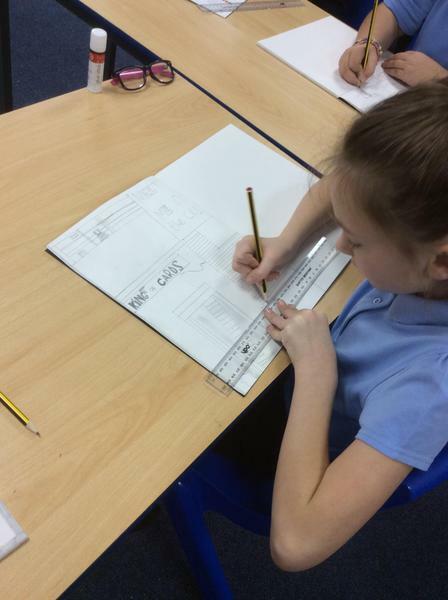 It has been so interesting developing our map skills! 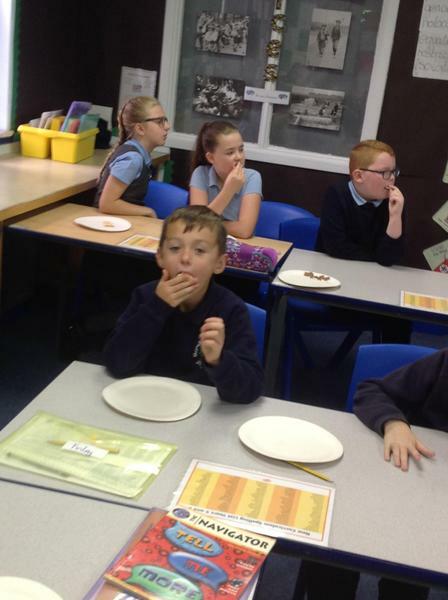 Learning about fractions was fun with pizza! 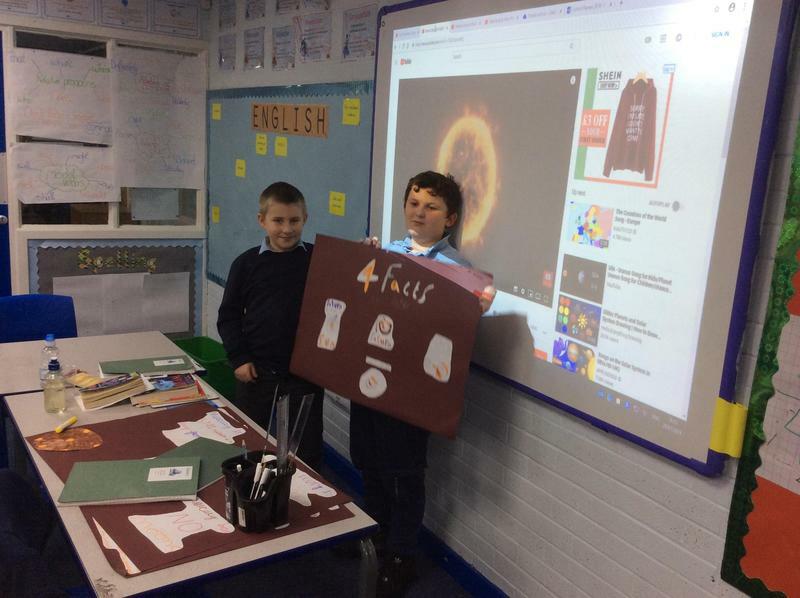 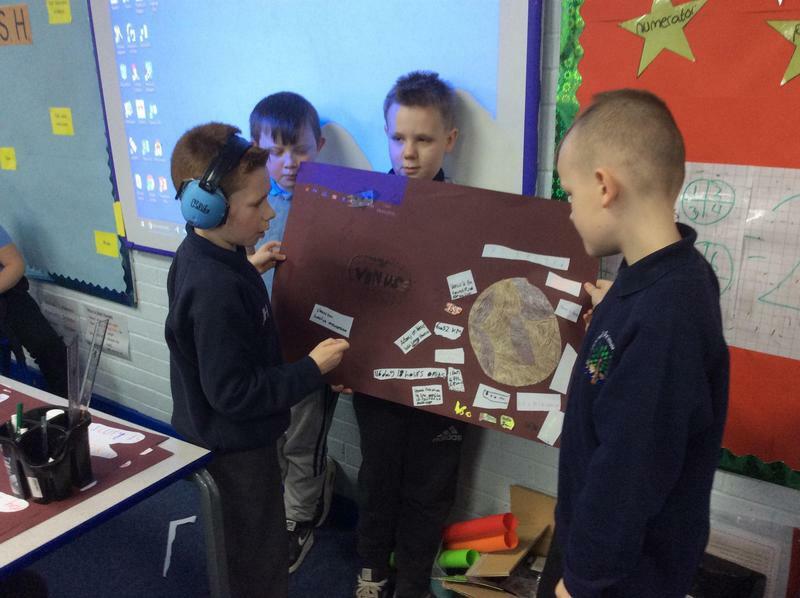 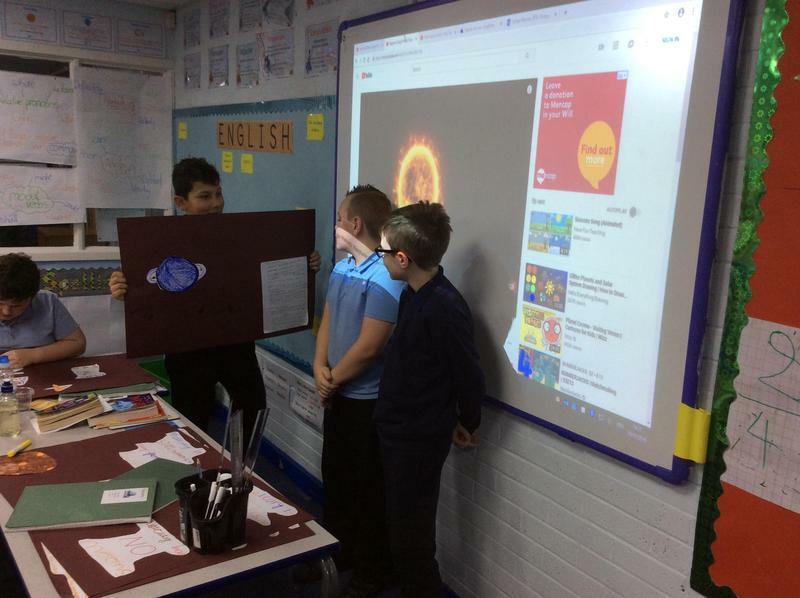 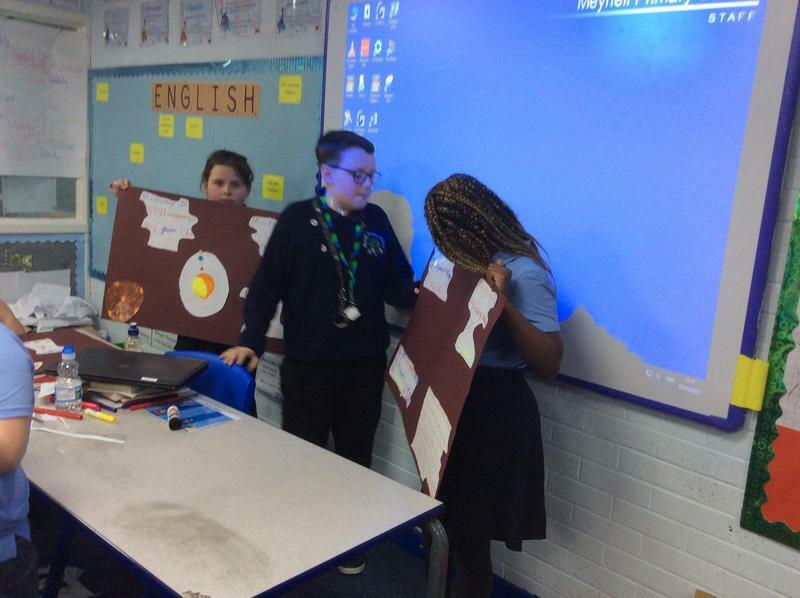 To learn more about the planets we each researched in a group and then taught each other. 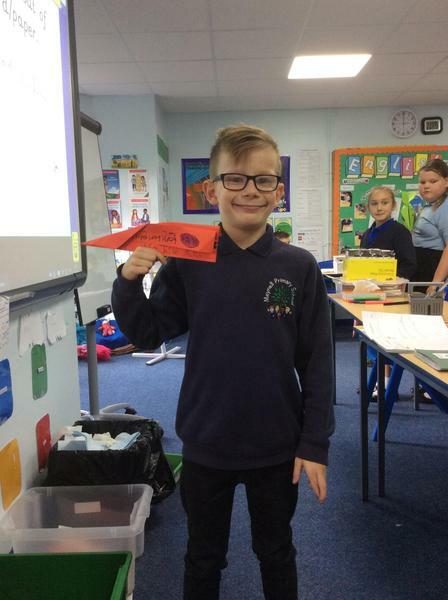 It was very useful learning about road safety. 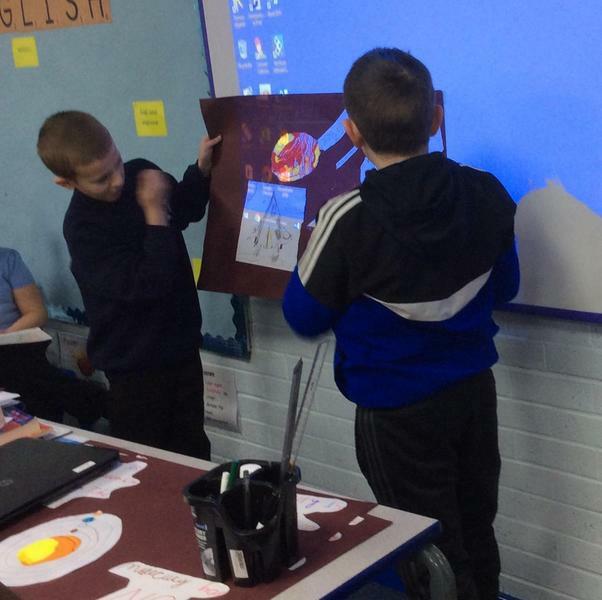 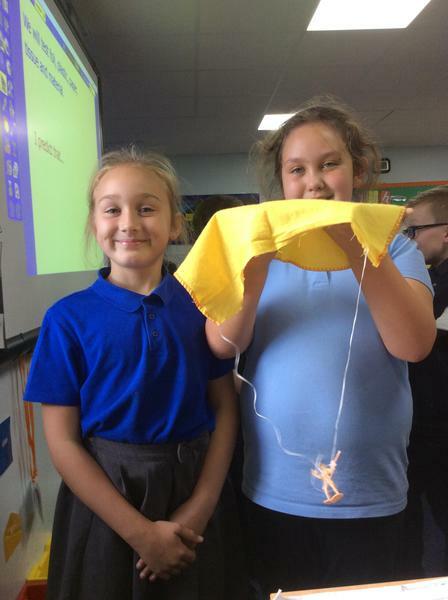 In design and technology we sewed our own wall hanging commemorating the moon landing. 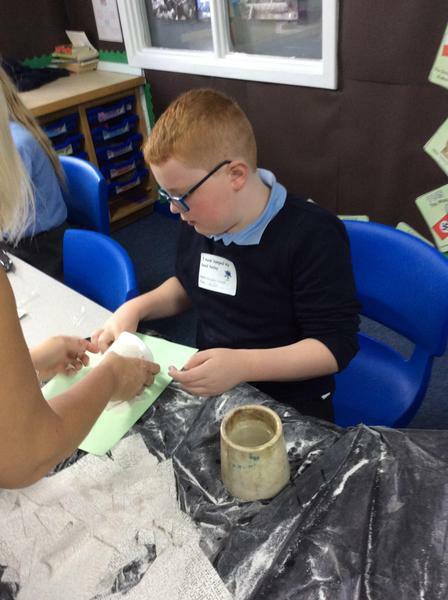 Both classes have won the attendee award this half - term and we have kept our bear very busy. 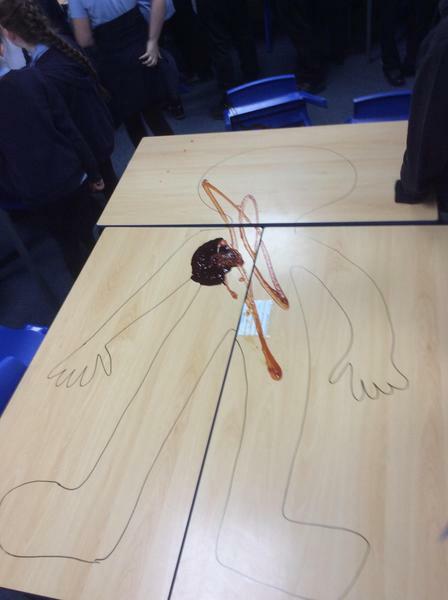 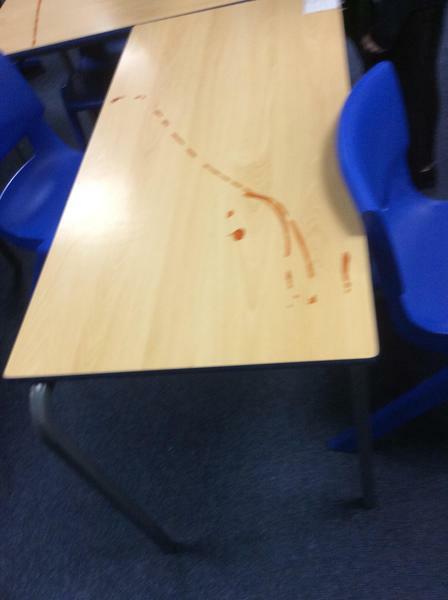 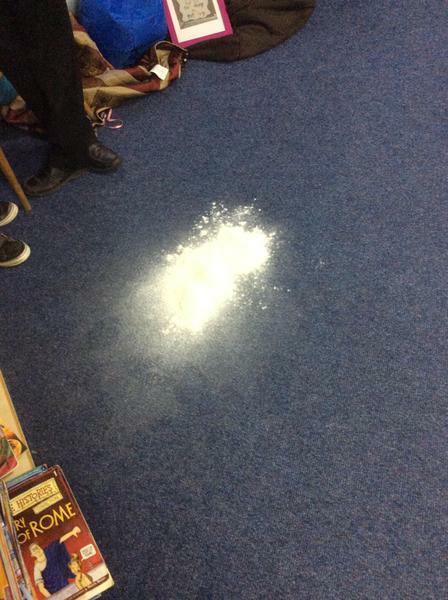 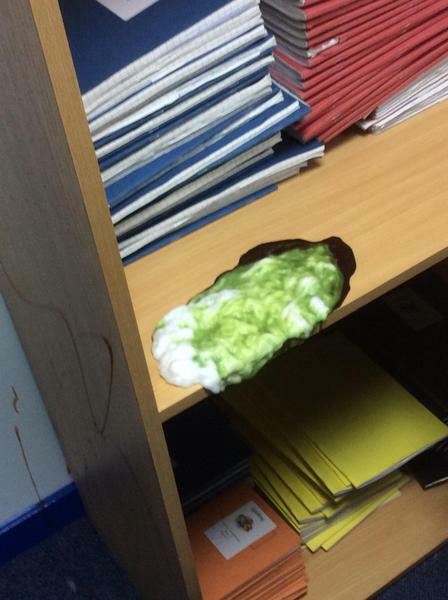 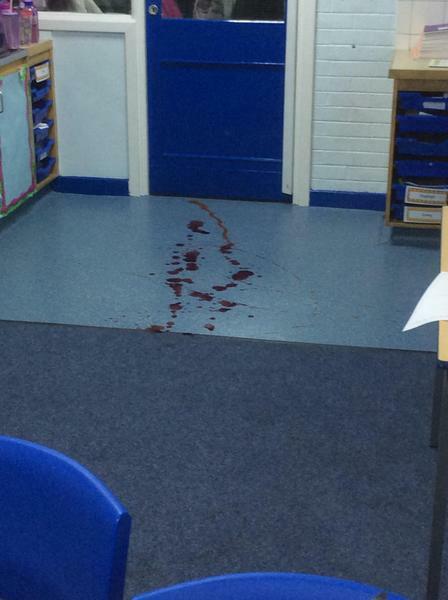 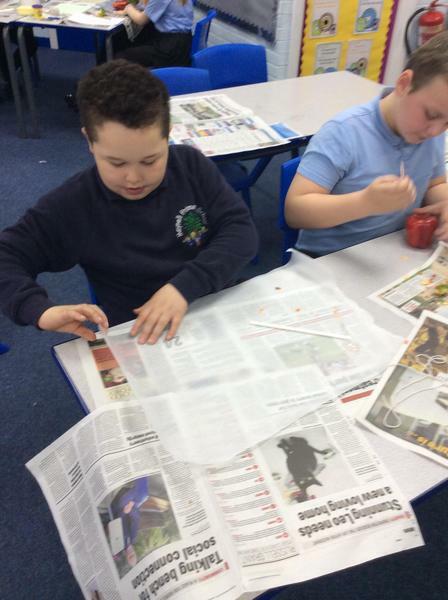 Y5 discovered a crime scene... we have conducted a CSI investigation through our science and written newspaper reports about what we found! 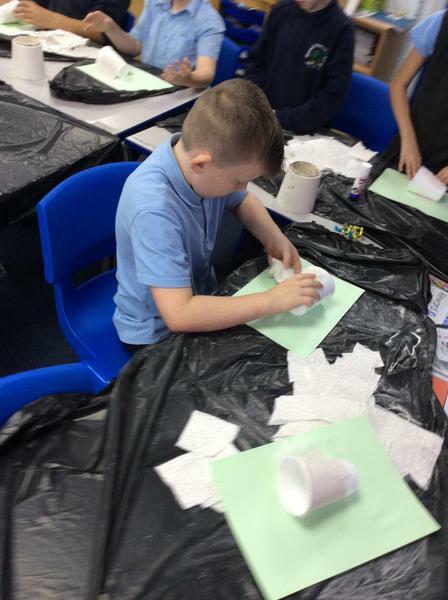 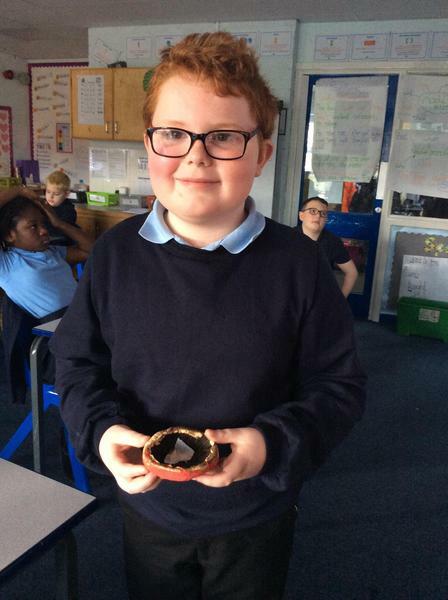 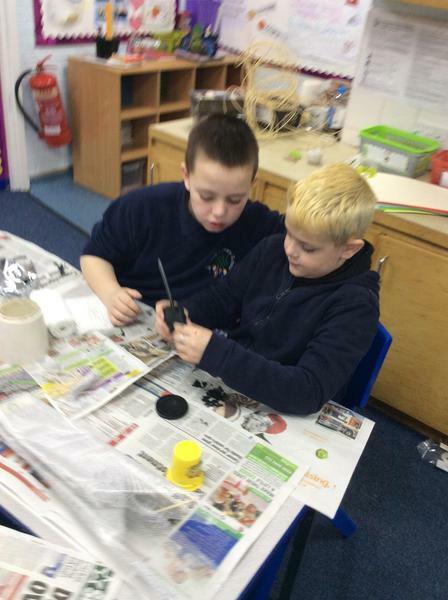 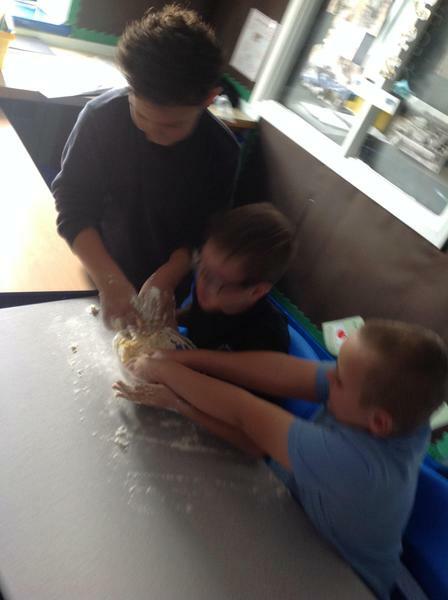 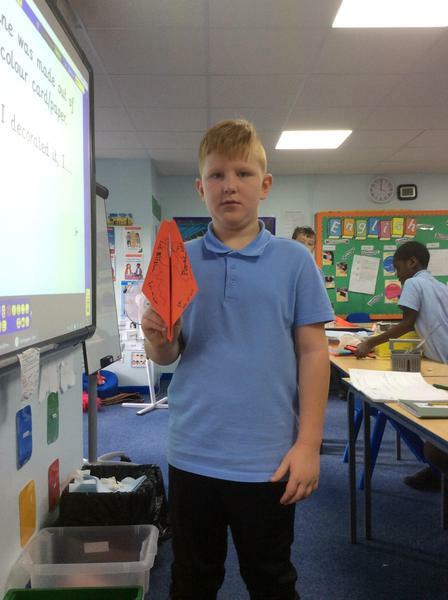 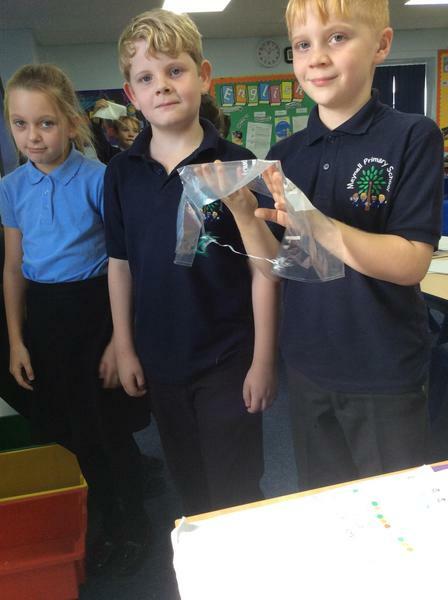 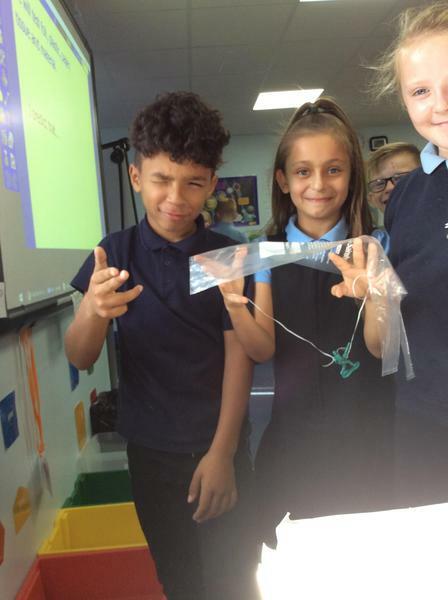 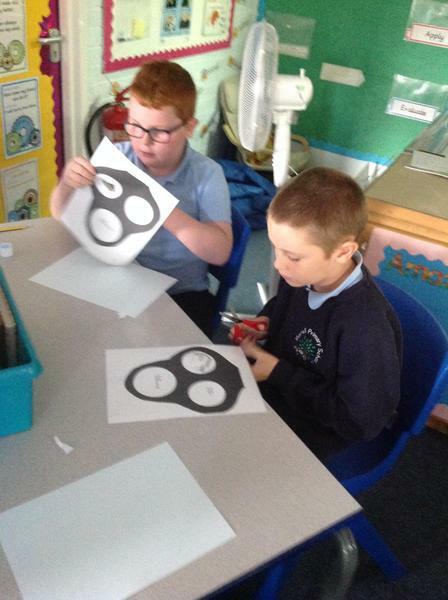 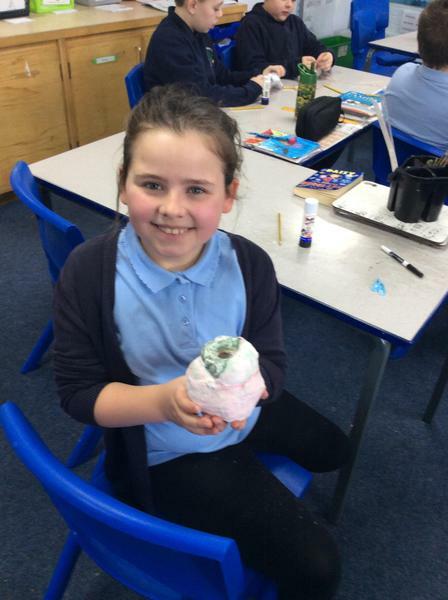 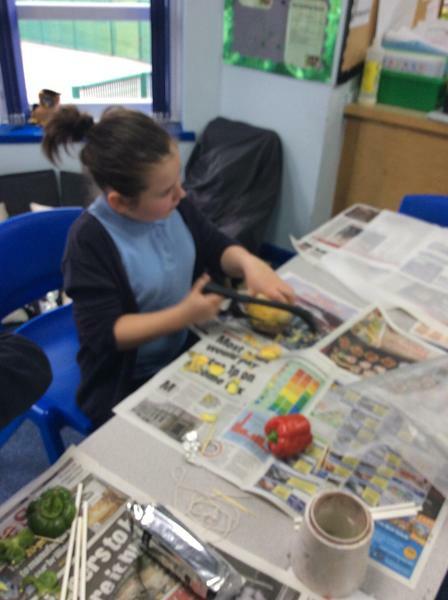 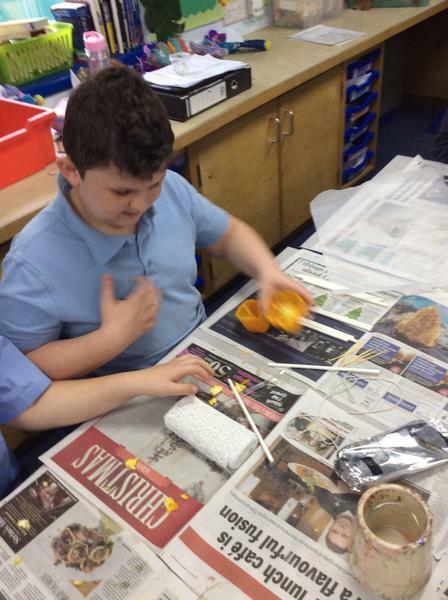 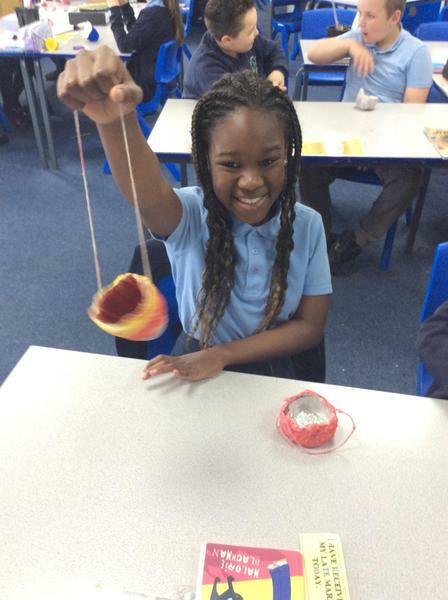 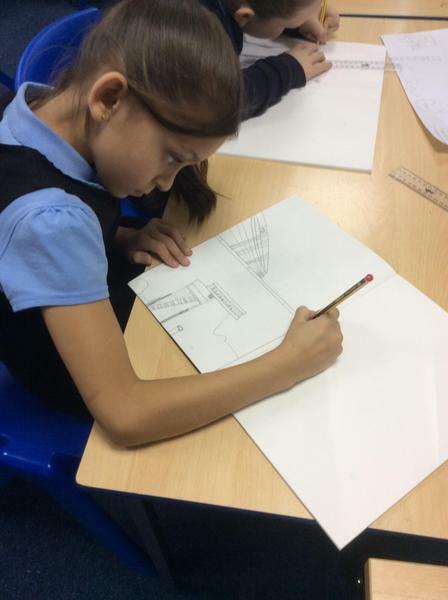 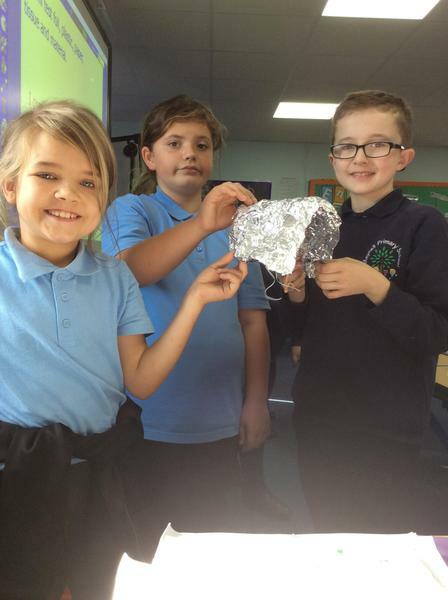 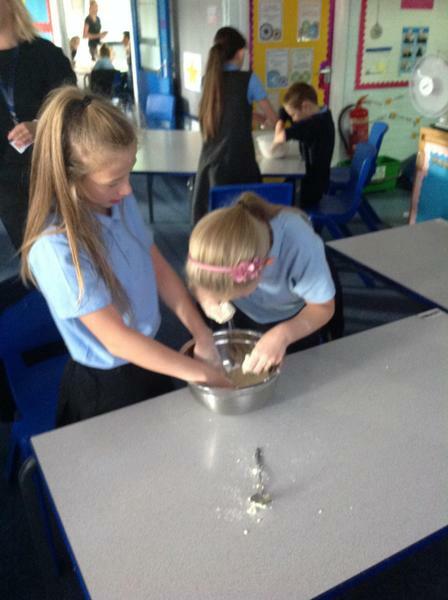 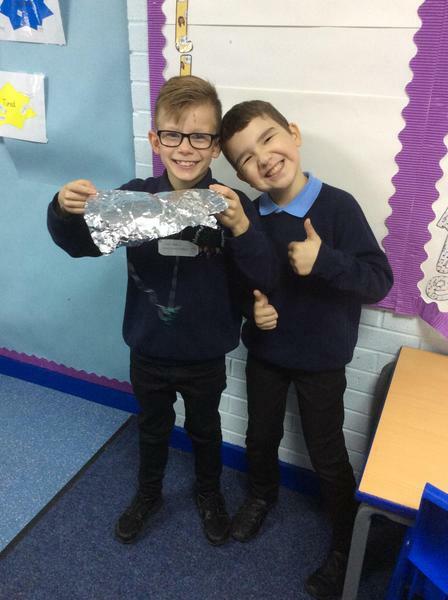 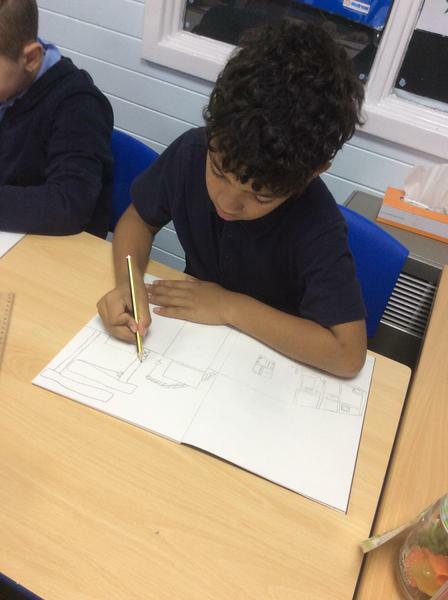 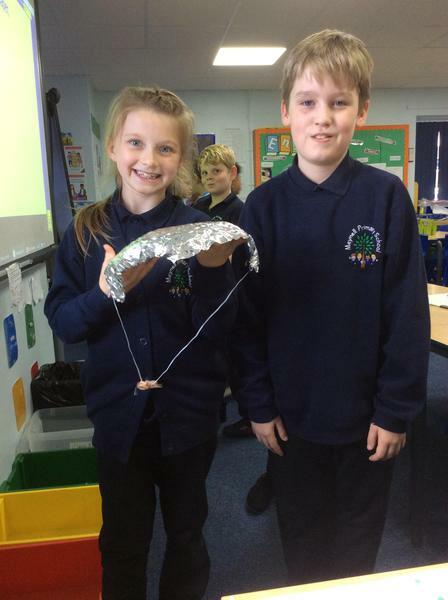 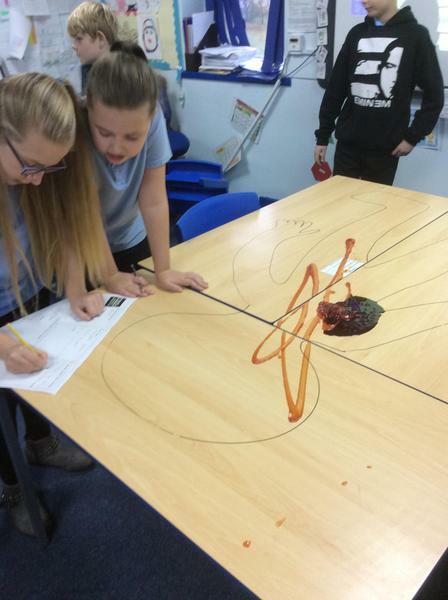 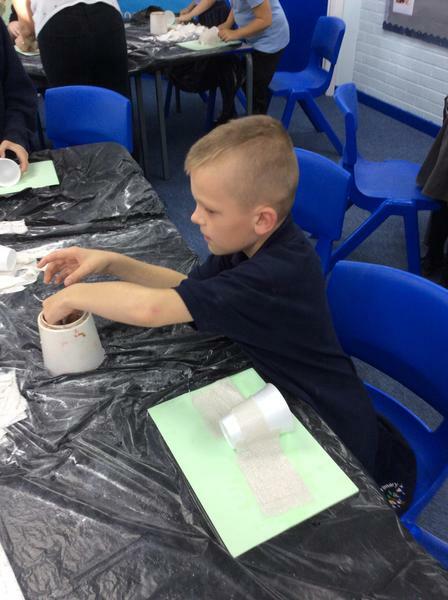 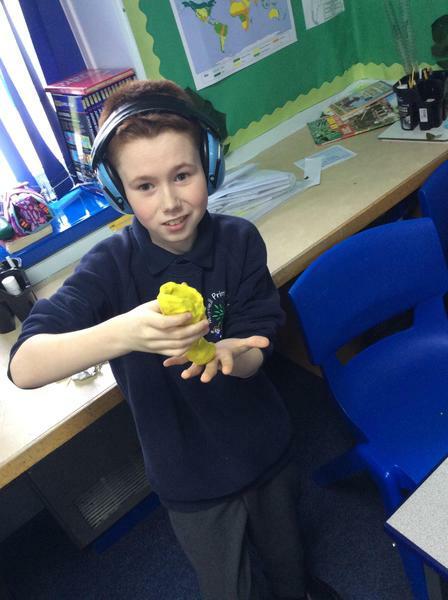 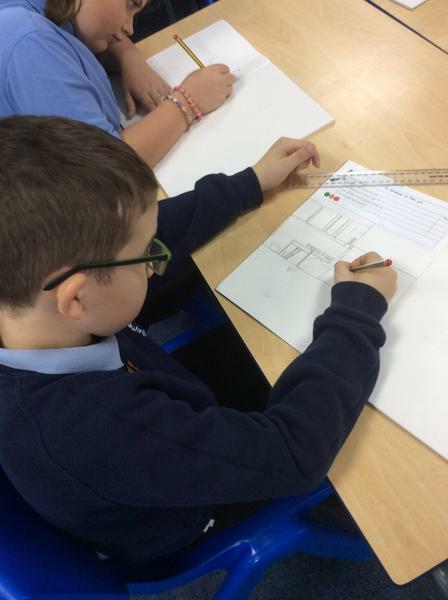 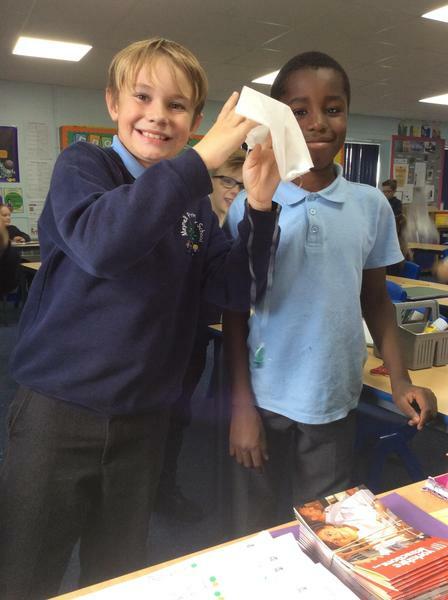 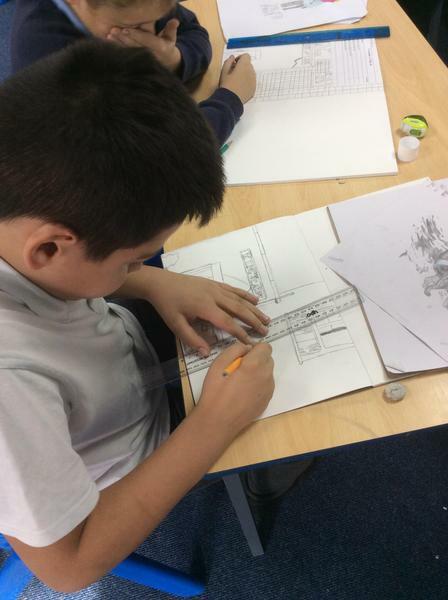 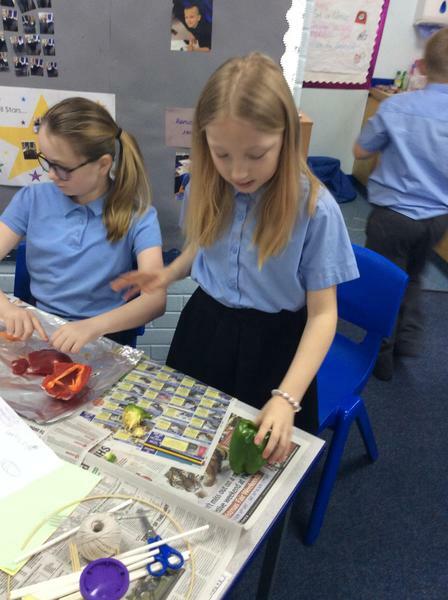 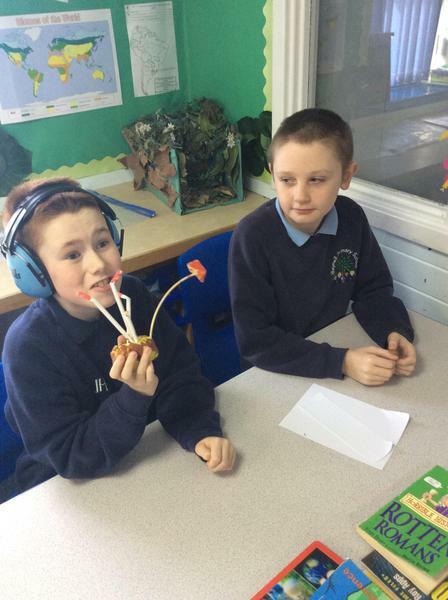 Y5 had a great time in D+T. 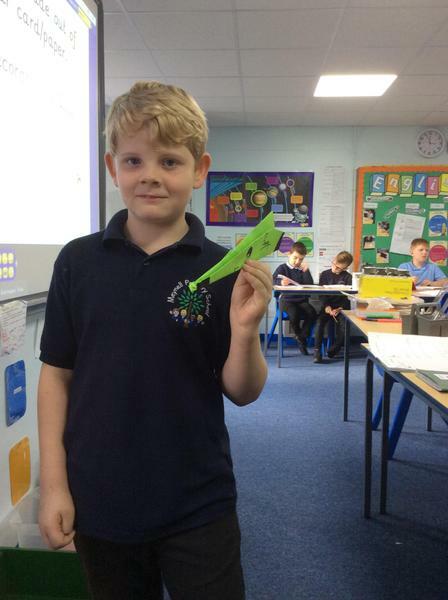 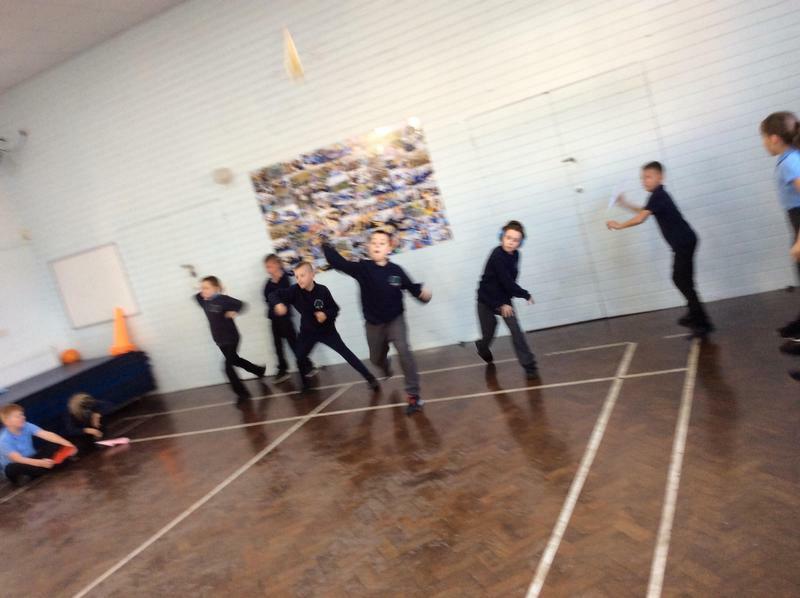 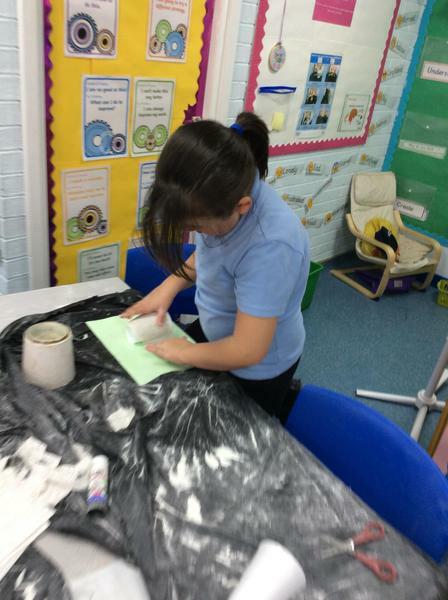 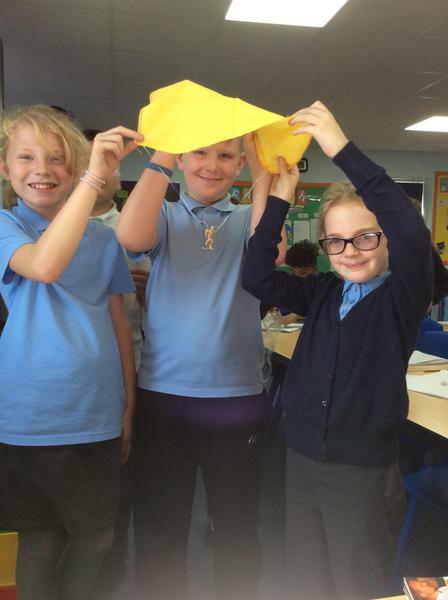 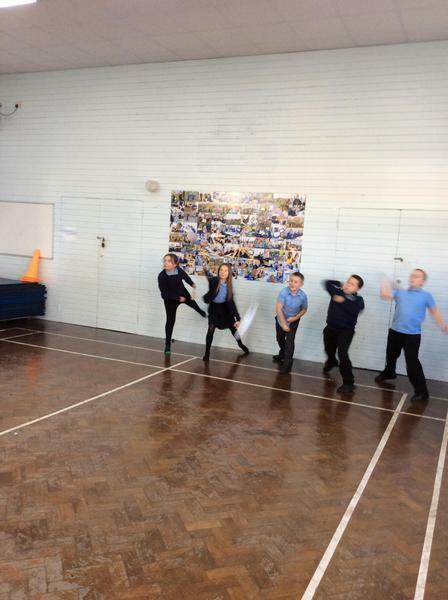 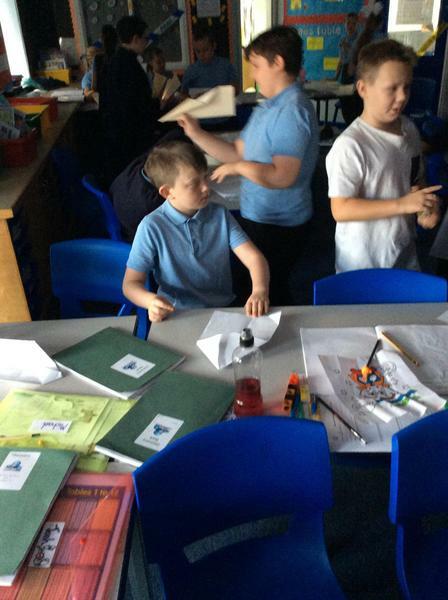 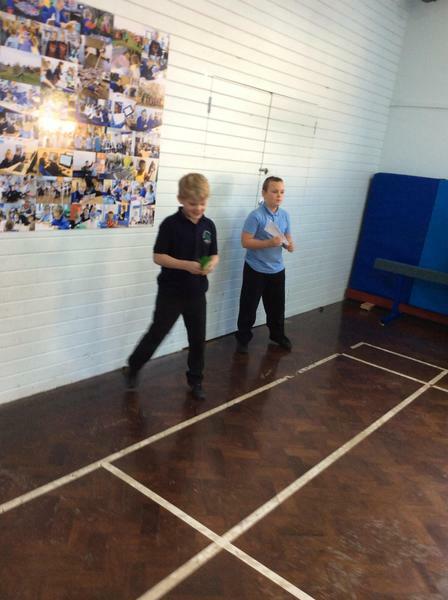 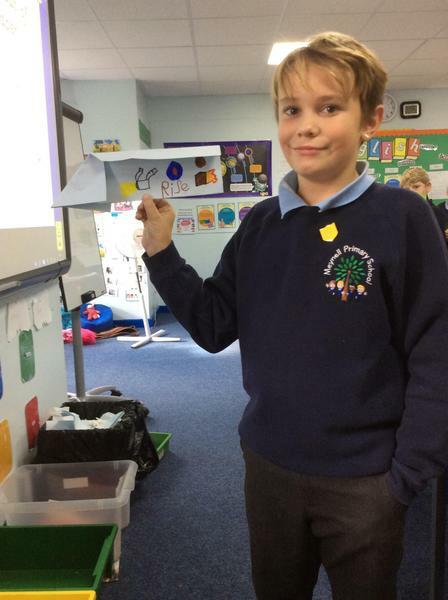 We designed, tested, improved and evaluated our paper aeroplanes. 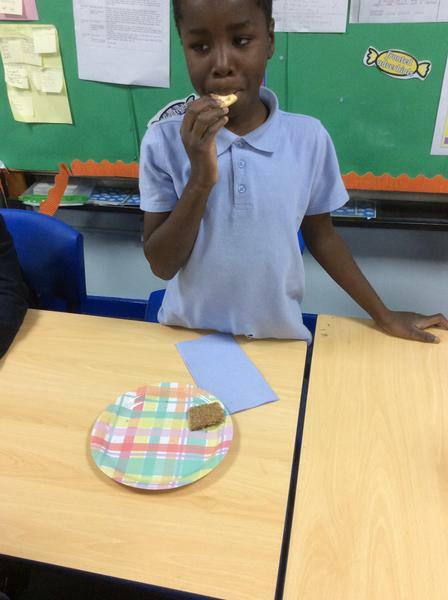 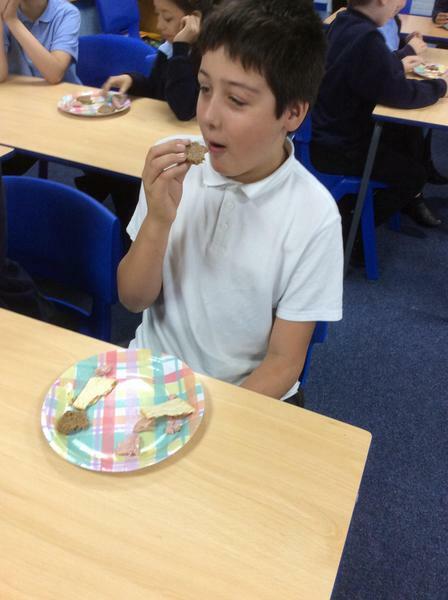 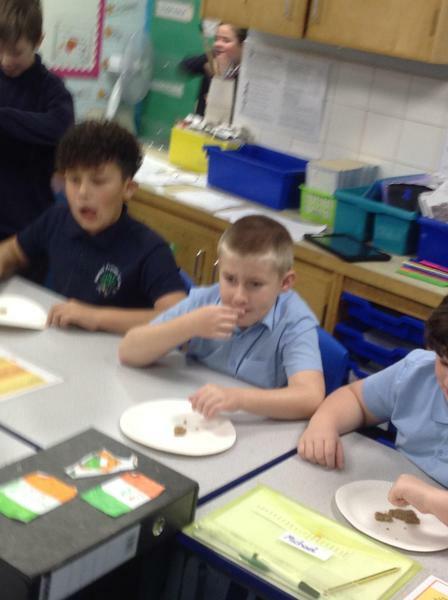 As part of our immersion, we tasted the type of food soldiers would have eaten at war. 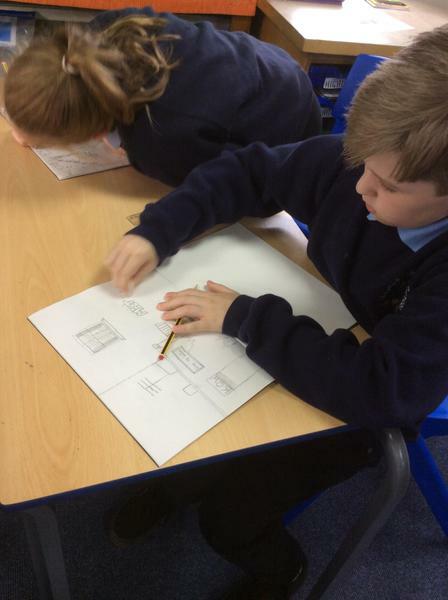 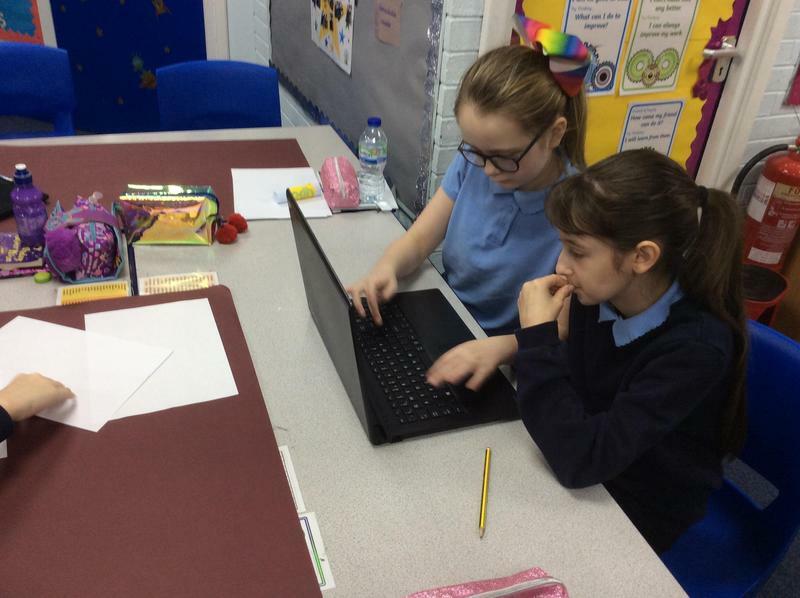 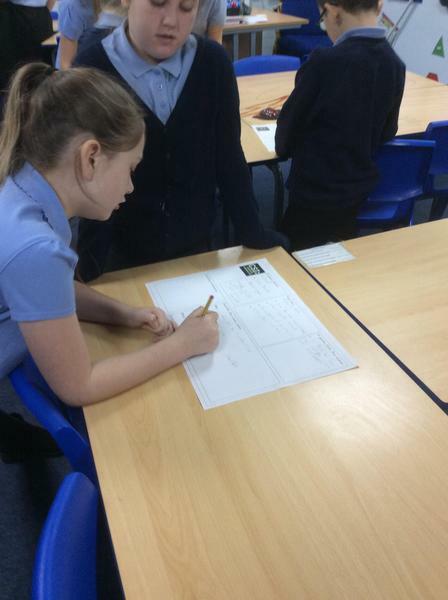 In Y5 we are working very hard on developing our understanding of reasoning problems. 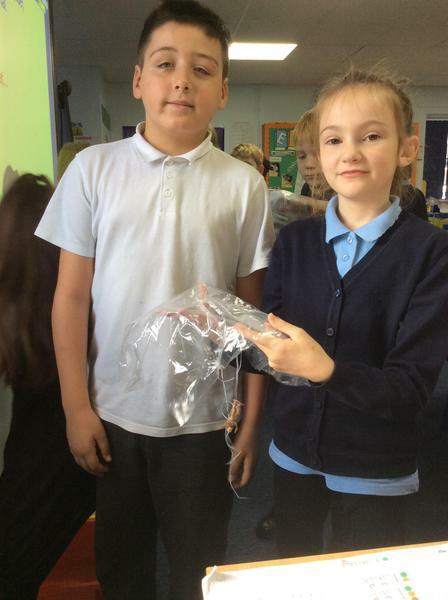 Y5 were very grateful to Nicole's Dad, who brought us some actual World War Two medals to look at. 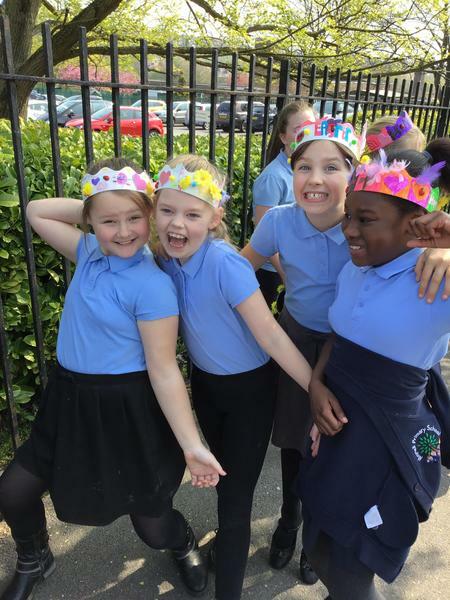 Miss Toulson, Miss Jones and Mrs Beresford would like to welcome everyone to Y5. 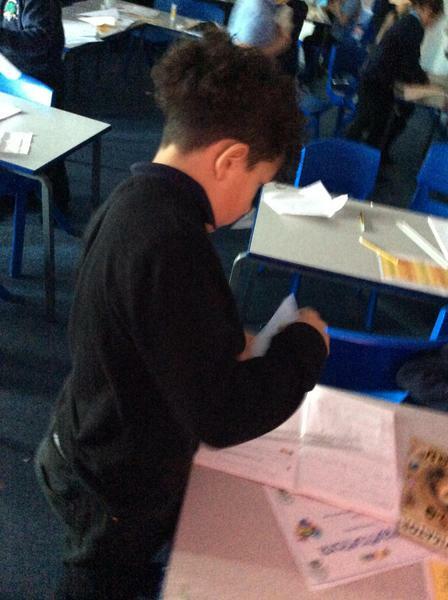 Homework will be given out weekly. 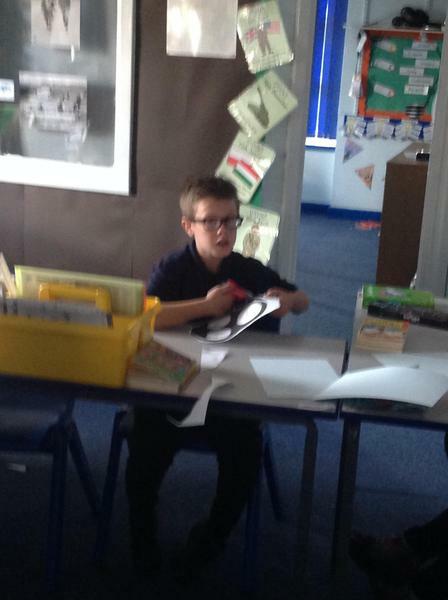 Reading records need to be returned to school daily so that we can fill them in when we listen to your children read. 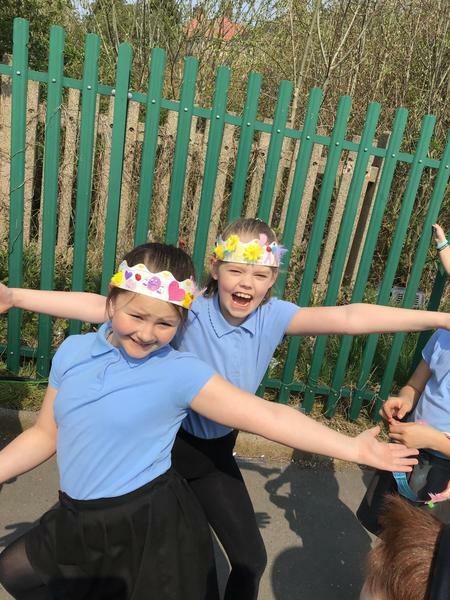 If your children reads twice at home they get to move on their journey 'Around the World'; they will also earn Dojo points. 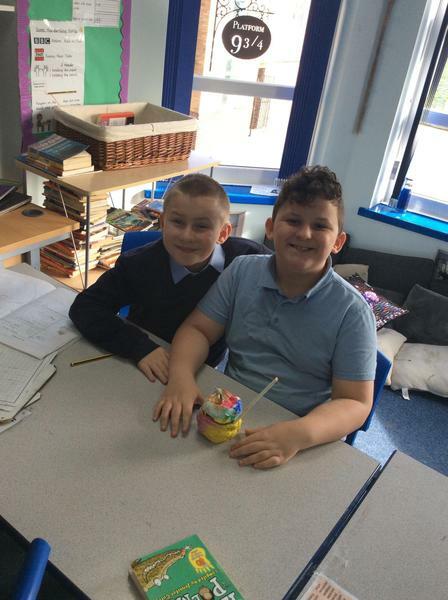 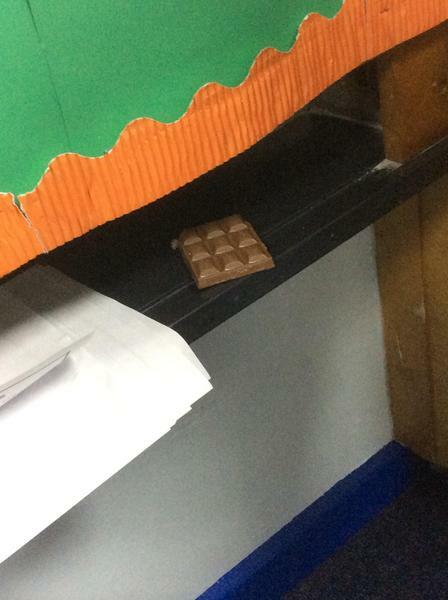 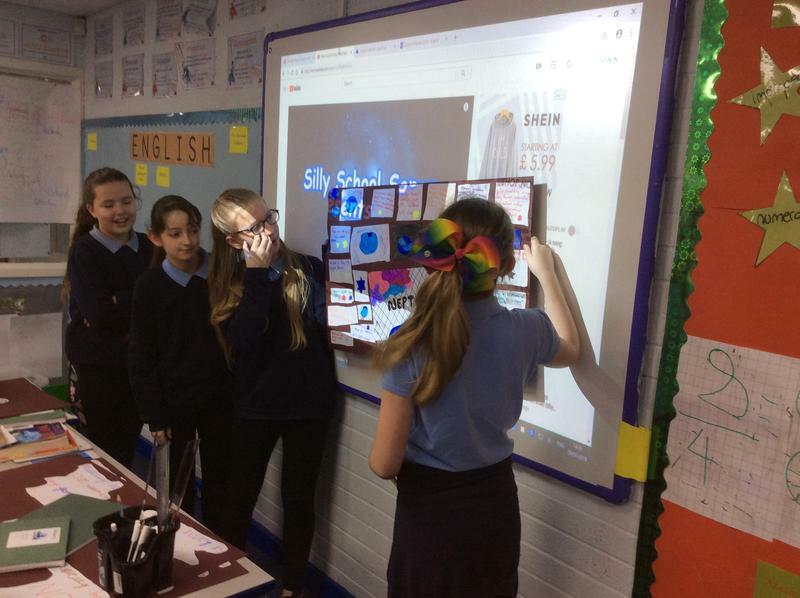 Welcome to Year 5 class page.